I’m Mary Vogel of PlanGreen and Portland Small Developer Alliance. I work for the small developers pro bono because I want to see a world where young people have the same opportunity for a livable planet in neighborhoods of their choice that much of my generation has had. Now, speaking for the group: Our focus is on providing housing opportunity in all neighborhoods across Portland, in a small-scale incremental way that fits in with the surrounding context. So the proposed Residential Infill Project has an immense impact on what we do. We found that there are some major issues with the RIP proposal that fundamentally work against the stated goals of the project, and aren’t in line with how small-scale infill development works. On the screen are five areas we think are most important to improve before the RIP is adopted. This table shows what costs look like when you hold the land acquisition costs stable across four housing types. The fourplex at $360,000 is about a third what the single family home costs—a price far more manageable by the average Portland household. Please help us implement a market-based solution to HOUSING AFFORDABILITY that we had prior to the vast downzoning to SF of 1959—not just “AFFORDABLE HOUSING” that depends upon a subsidy that’s been shrinking for the last 50 years. Here’s a link to the YouTube video of the first hearing, testimony begins at 2:25:00. You can get more talking points to testify to the Planning and Sustainability Commission yourself on May 15 at http://pdxsmalldevelopers.org/news/. This entry was posted in Housing, Housing Affordability, Housing Market, Missing Middle, Urban Design, Zoning and tagged housing market trends, redevelopment, sustainable urbanism on May 10, 2018 by Mary Vogel. To even begin to solve the housing crisis, a whole new system of land tenure is needed. Relocation assistance for involuntary displacements of tenants seems like a fine and just idea–until you hear the landlords side and their schemes for getting around your proposed ordinance. I didn’t come prepared to testify today, because under the current system of housing, both sides have compelling arguments. As long as we continue to pursue a housing system that sees housing as a commodity to be bought and sold for a profit, as long as we see it as a builder of individual wealth through the accrual of speculative value, there will be such dilemmas. These are dilemmas that cannot be resolved under the present system. Champlain Housing Trust in Burlington, VT is the largest CLT in North America. Logo compliments of CHT. However, there is a whole new system of land tenure that has been around for over 50 years and built a tremendous body of law and custom as well as homes on the ground. That system provides security, equity and legacy to the resident, but the greatest part of the increase in value accrues to the entire community through the Community Land Trust. I wish I had some easy solutions for getting to there from here. I’m afraid that my best idea didn’t get traction and fizzled at the end of the primaries. That idea was to get Bernie Sanders, who played an important role in founding Champlain Housing Trust in Burlington, VT —now the largest Community Land Trust in the nation—to talk about this new model of land tenure to his young followers during his campaign. (See Housing Affordability – Put a Bern on It.) He could have opened so many eyes to a different system and created tremendous demand for it. We could have built on that demand to pull Portland Community Land Trust (now Proud Ground) out of its role of needing to chase after attention amongst all the various non-profits pursuing affordable housing dollars. We could have expanded its mission from a provider of home ownership opportunities for a tiny percentage of working class people to a central role in our strategy to address housing affordability with a whole new system of land tenure. The arrow points to the Proud Ground office in the Patton Park Apt. Building on Interstate Ave. Image compliments of Proud Ground. Unfortunately, the building itself is not part of the CLT. At this point, in an overheated market, I’m not sure how we get there from here. But WE CAN FIGURE IT OUT COLLECTIVELY. Each of you on the City Council commands far greater media and public attention than I do. If each Council Member learned all you can about the CLT model—perhaps sending one of your number to Burlington, Vt. to visit Champlain Housing Trust as well as the CLT experts at Burlington Associates—meanwhile each of you study their web sites and start talking and talking about the need for this new model, . In closing, I want to quote a Jan 17 post from Bob Morris, a friend on Facebook: What a great time to be alive and an American! There are as many opportunities now to take an active part in making our country better and living up to our highest ideals as at any time in my life. Who will be our new Freedom Riders, lunch counter sitters, voter registrars, river keepers, forest conservators, wild animal protectors, peace spreaders, truth speakers. I can’t wait to meet them. What will you do? I will add to Bob’s list Community Land Trust builders. . . I was delighted to find out yesterday that Vancouver, BC has been working on a plan to do what I am calling for–on the scale I am suggesting. A Speculation-Free Zone, an article in The Globe and Mail describes the efforts of the Vancouver Community Land Trust Foundation to become an alternative to the speculative model of housing. Their vision is to become the largest CLT in North America. NYC Opens Door Wide to Community Land Trusts in Next City also shows the momentum of the CLT model as cities seek to find systemic solutions to their housing crisis as it is finally becoming obvious the patchwork solutions are not working. In the late 70s/early 80s, I worked for the Institute for Community Economics, the pre-imenent group building the CLT movement in the US for several decades. I am available to consult on this model through my business, PlanGreen–if there is interest. This entry was posted in Affordable Housing, Alternative Housing Models, Co-Housing, Community Land Trust, Community Land Trust Model, Financing, Housing, Housing Affordability, Housing Market and tagged Bernie Sanders, community investment, Financing, Proud Ground on May 19, 2017 by Mary Vogel. Burlington Community Land Trust has since expanded into three counties around Burlington (Chittenden, Grand Isle and Franklin) and changed its name after its merger with an affordable rental non-profit in 2006 . It’s now the Champlain Housing Trust. With over $309 million in assets, CHT is the largest CLT in the nation. Its 2015 Annual Report shows that it owned 389 buildings (2227 units) of affordable rental housing, 33 commercial/industrial buildings and the land under 570 single family shared-equity homes. And it’s adding more units every year. This year, they are in process of developing another 160 permanently affordable units in a larger 700 unit development on the Burlington waterfront. In all, they control an impressive 7.6% of the Burlington area’s total housing stock. Champlain Housing Trust is the largest Community Land Trust in the nation. It enables housing to be kept permanently affordable by holding title to the land under it. Image from CHT 2014 Annual Report. Community Land Trusts are nonprofit organizations, with a board composed of representatives of the public, members of professions with technical expertise, and the tenants of the CLT. The CLT obtains land through a number of means (purchase, donations, foreclosures, etc.) and removes it from the private, commodity speculative market. If there are not already buildings on the land, the CLT may build and either lease or sell the buildings with restrictive covenants. The CLT retains ownership of the land and sets a formula for shared equity as the properties appreciate. This formula is applied when the home on the property is sold. As explained by Daniel Fireside writing in Dollars & Sense: When a normal home is offered for sale on the usual terms, it does virtually nothing to make the overall housing market more affordable. A land trust home, by contrast, creates a permanently affordable property because the land it sits on is removed from the speculative market. Most of the appreciation is retained by the housing trust (and by extension, the community), rather than the individual. In this way the trust model creates a bridge between purely public and purely private property. This limited equity model still allows a reasonable return. In Burlington, the 233 homeowners who have resold a CHT home have realized, on average, a 31% annualized IRR [internal rate of return]! The model also allows the CLT to intercede in the case of a foreclosure. A study by the Lincoln Institute of Land Policy showed that, as of 2010, homeowners within a land trust were 10 times less likely to default on their homes than their private-market counterparts. Champlain Housing Trust holds the land under O’Dell Apartments in So. Burlington in permanent trust. Renters get a say in policies. Photo from Google Maps w/assistance from CHT’s Chris Donnelly. The original impetus behind the CLT movement was to create a new institution to keep housing permanently affordable. The first people I ever met living in a CLT in the 1980s were NOT low-income, rather middle-income professionals who saw the CLT as a better way to live while also making a statement that we need a new model of land tenure. I believe the CLT is the best tool for transforming our housing system. By taking the land under housing off the private, commodity, speculative market, it helps to change the concept of housing from a commodity to be bought and sold for a profit. Instead it encourages us to see it as a social good that everyone needs and deserves. Involvement in the CLT also gives both renters and homeowners a say in how properties are managed. And it gives them a sense of community with all members of the CLT. Most housing and community development programs in the United States have been designed as if there is no business cycle. What community land trusts are particularly good at is preventing the loss of homes, homeowners, and public investment at both the top and the bottom of the business cycle. We run counter to the threats and dangers that a fluctuating economy imposes on low- and moderate-income people. Multifamily Woolsey Corner in the New Columbia area of Portland was developed as a Community Land Trust property by Proud Ground utilizing Orange Splot as its builder. Photo courtesy of Orange Splot. Proud Ground (a merger of Portland Community Land Trust and Clackamas Community Land Trust). It currently focuses on helping a limited subset of moderate-income people get into homeownership. (See Oregonian OpEd: One Way to Turn Moderate Income Portlanders into Homeowners by PG’s Diane Linn and Roger Henshaw). It has partnered with Bank of America to do an important study, Solving the Affordable Homeownership Gap that gives data about an out-of control housing market that is has largely been taken over by an investor class. To me, this study helps to demonstrate how unsustainable the current housing system is and why we need more systemic solutions than simply getting a few more people into such an anxiety-inducing system. Nonetheless, Proud Ground has many ways to get involved in making housing more permanently affordable on its website. To achieve real housing affordability for all in the Portland region, we will need to move beyond promoting the Community Land Trust model solely for the moderate-income and solely for homeownership. We will need to take a cue from Champlain Housing Trust and push Proud Ground to serve both rental and owner properties and to gain far more foothold in the Portland area market. It may be a long-term process, but we can take heart from the progress that Champlain Housing Trust has made in Burlington since 1984–nearly 8% of all housing. Various levels of local, regional and state government and private foundations, institutions and individuals owning property will need to partner with Community Land Trusts to change our housing model. Ultimately, changing our housing model won’t just happen in Burlington or in Portland. Although I do believe strongly that we all need to work for change from the bottom up, it will help greatly to have a supportive federal government to promote and achieve this concept nationwide. Let Bernie know that you want him to promote the CLT model of housing affordability. There is already a National Community Land Trust Network (now Grounded Solutions Network) that has been bringing leaders from CLTs across the nation together to discuss issues and best practices in CLTs for many years. They also push for policy change. Intersections 2016 claims to be “the only national conference dedicated to permanently affordable housing and the creation and preservation of just, equitable and inclusive communities across the country and around the globe.” The conference is expected to draw more than 350 professionals to Park City, Utah, September 26-29, 2016. Grounded Solutions Network is likely our best chance to help us understand and then achieve change that needs to happen at the federal level. Meanwhile, let Bernie know you want him to repeat “the best thing I ever did as Mayor” on a larger scale–for ALL OF US. Let’s work to put a Bern on housing affordability. ¹Founded in 1979, the Institute for Community Economics (ICE) pioneered the modern community land trust (CLT) model, Today ICE is a federally certified Community Development Financial Institution (CDFI) offering loans and more to create community land trusts. I worked for ICE in the 1990s. ²Most Portlanders will likely appreciate the take-off in my title on Portlandia’s “Put a bird on it.” A national audience may not. Many thanks to Chris Donnelly of Champlain Housing Trust for spending nearly an hour on the phone with me answering my questions. Another article worth reading: How Bernie Sanders Made Burlington Affordable by Jake Blumbart in Slate Jan. 19, 2016. This entry was posted in Community Land Trust Model, Financing, Housing Affordability, Housing Market, Uncategorized and tagged Bernie Sanders, community investment, Grounded Solutions Network, housing market trends, Intersections 2016, John Davis, Proud Ground, redevelopment, Sustainability on April 14, 2016 by Mary Vogel. For those of us on the Greater Portland Inc. Sept. 27-30 Best Management Practices tour choosing the Regent Park Revitalization, doubtless, the most animated and enthusiastic speaker we encountered on the trip was Mitchell Kosny. Kosny is Associate Director of the Ryerson University School of Urban and Regional Planning and a former Chair of the Board of Directors at Toronto Community Housing Corporation during the ‘roll-out’ of Regent Park revitalization. Unfortunately, Dr. Kosny may not have realized two things: 1) We had spent the earlier part of the day sitting in meetings and were ready for a tour; 2) We were from the Pacific Northwest and therefore comfortable with rain. I knew Regent Park to be just a few blocks down the street from Ryerson. So, after nearly an hour sitting in Dr. Kosny’s PowerPoint lecture when he expressed doubt about doing a tour in the rain, , , I set off on my own tour. Regent Park is being redeveloped in five phases with three of those phases currently underway. A key tenet of the revitalization is including both rent-geared-to-income and market rate units together in the same community. I could guess which was the market rate building because I was there at rush hour when a number of young people were coming home from work and others were leaving to walk their dogs. When the Regent Park revitalization is completed over the next 10 to 15 years, 12,500 people will live in 5,115 units across 69 acres of the largest publicly funded community in Canada. The plan includes the replacement of the 2,083 existing social housing units in Regent Park with new, energy efficient, modern units and the introduction of approximately 3,000 market units for sale. I was happy to see that Regent Park actually has a park! It’s a large park that is separate from the athletic fields that are currently under construction. There’s a separate dog park too! A community garden at one edge of the park is the front yard of many people who live in high rise housing. The architecture of the new buildings is a departure from the red brick of social housing projects. Although there are some townhouses too, I was a bit surprised by the focus on high-rise housing, considering the bad rep that got with Cabrini Green and Pruitt Igo iin the US. However, Toronto seems to have a long history of housing its poor in high rise housing,. Another question I have about high rises has to do with resiliency. Considering the era of increasing natural disasters we are in, most high rises will fare very poorly without power for even a week or two. With Toronto’s mandatory Green Roof Bylaw and its Green Standards policy, its new high rises may be in better shape than most to weather power outages. The revitalization also reconnects Regent Park to Toronto’s grid of streets and avenues, and includes the creation of new commercial spaces and community facilities including a bank, grocery store, aquatic center, new community center, restaurant and an arts & cultural center. Regent Park Aquatic Center serves people from other neighborhoods as well. I spoke to a man from Leslieville neighborhood who was waiting in the park for his daughter who was using the swimming pool. The Arts and Culture Centre known officially as Daniels Spectrum is seen as a center point of the neighborhood. (Daniels Corporation is the development company that partnered with Toronto Community Housing to build all five phases so they got naming rights to this key facility!) This 60,000 square foot facility is home to seven arts and innovation non-profit organizations. As we have seen in the U.S., the arts can offer an exciting career path to children from all income classes so I see this center as vital to the revitalization efforts. I saw lots of people coming and going during my brief observation. Phase 3 is progressing with the development of the athletic fields and the addition of pedestrian-friendly streets connecting to other neighborhoods. Planners believed that because of its enclave-like street design, residents were cut off from the city, even though they lived a short streetcar ride from some of its most affluent neighbourhoods and greatest cultural attractions. More social and market housing is also part of phase 3– with completion estimated to be 2018 . It bears repeating that a key tenet of the revitalization is including both subsidized and market rate units – together in the same community. Townhouse as well as high rise; rental as well as ownership opportunities are available. This sign advertises suites from the $300.000s but I also saw from the $200,000s. Another key tenet is access to employment. Regent Park residents can get one-on-one help with job searching, local employment opportunities, career planning, education and training, and more. The Regent Park Employment Plan has an ambitious agenda. Never one to avoid a challenge, I also spent some time exploring the older parts of Regent Park that have not yet been demolished. I’m not sure during which phase this seemingly vacant building will come down–and with the rain, there was no one around to ask. Any tenants who have to move because of construction get one year’s notice before demolition and five months’ notice before they have to move. While Toronto’s version of the U.S. Hope VI program is impressive, like its counterpart in Portland, New Columbia, it has not solved all its problems. There had been three fatal shootings in the neighborhood in 2010 that left even Regent Park’s supporters in doubt. TCHC maintains that by incorporating crime prevention best practices into the design of the buildings and public areas and by linking tenants to jobs and training opportunities, it is improving community safety.
. . . an all-encompassing program called Pathways to Education, which mentors and coaches secondary-school kids through graduation and beyond, and guarantees them a bursary if they graduate. (A big advantage, in my view, is that Regent Park has no secondary school, so the kids have no choice but to venture outside the ’hood.) Pathways connects them with the world and shows them how to navigate it. Toronto-based journalist, Doug Saunders, in his book, The Arrival City, points to three things that are crucial for integrating immigrants into the middle class: education, transportation and access to jobs. Time will tell if Regent Park is doing all three well. At the end of 2015, it appears to be headed in the right direction. This entry was posted in Affordable Housing, Best Management Practices, Community Investment, Downtown Livability, Economic Development, Green Building, Housing Market, Uncategorized, Urban Design and tagged community garden, community investment, Daniels Spectrum, Doug Saunders, Green Roof Bylaw, Green Standards Policy, jobs, Margaret Wente, Mitchell Kosny, redevelopment, Regent Park, revitalization plan, The Globe and Mail, Toronto, Toronto Community Housing Corporation, walkable neighborhoods on October 22, 2015 by Mary Vogel. The Toronto Best Management Practices (BMP) visit sponsored by Greater Portland, Inc.(GPI) from Sept. 27-30, 2015 was a chance to visit with some of the players who are making Canada’s largest city #2 in Fast Company’s global ranking of smart cities, and #1 in North America and “the most civil and civilized city in the world” according to National Geographic. I had a little different trip than my 51 other colleagues because I came a little earlier and left a little later than most of them did. I also stayed in a different venue, so I had different views out my back window and front door. Our first stop on the BMP trip was at Evergreen Brick Works, a “community environmental centre that inspires and equips visitors to live, work and play more sustainably.” It is also home to Evergreen, a national organization whose mission is “inspiring action to green cities.” Approximately 180 employees help Evergreen to promote that mission in four areas of focus: greenspace, children, food and CityWorks (urban planning). If you took Dharma Rain Zen Center ( a group redeveloping a brownfield in far northeast Portland) and combined it with Groundwork Portland, Willamette Riverkeeper, Audubon Society of Portland and Zenger Farm, then topped it off with a national organization like the Sierra Club, you might have something close in Portland. Although very close to Toronto’s core, you feel as if you are a world away there. Evergreen staff have organized the planting of tens of thousands of native trees and plants by community volunteers. They have also worked with partners to restore a large wetland on their site and a trail through the Don Valley watershed and its ravines. I found only one reference on the Evergreen site about the re-naturalization of the mouth of the Don River. It is described as a project of Waterfront Toronto in the History of the Lower Don Project. I am watching the CityWorks portion of Evergreen’s site for the day when they advocate taking out the Don River Parkway that so greatly confines the river (except when it doesn’t) and getting the Don River out of its concrete channel altogether. Our next stop was to the Spacing Magazine retail store where publisher Matthew Blackett told us that he is working with Evergreen and the City of Toronto to create city planning podcasts aimed at a millennial audience. “Growing Conversations is our strategy to reach youth, newcomers, renters and those we’re not presently engaging in the official “consultations” the city planning department holds,” he said. His store sells many books about urbanism as well as locally designed products relating to urbanism –and, of course, the magazine. Blackett, also on our agenda in the afternoon, claims that ‘most of Toronto’s growth is happening downtown–the fastest growing in NA- and that youth18-34 are a driving force behind the downtown condo boom. He said the government will give you 10% down payment interest free and forgiveable as long as you stay in the condo. The top three Issues he sees for this age group: affordable housing; equity; and the environment. My hope is that this new generation will insist on speedier implementation of environmental restoration plans–e.g., for the mouth of the Don River–and greater awareness with regard to how all aspects of the City’s future are tied to working with nature in an era of climate change. This entry was posted in Best Management Practices, Climate Change, Downtown Livability, Economic Development, Ecosystem Services, Financing, Green Infrastucture, Habitat, Housing Market, Millenials, Real Estate, Sustainability, Uncategorized, Urban crisis, Urban Design, Walkability, Watershed health, Wildlife Corridors and tagged affordable housing, brownfields, civic engagement, climate change, Ecological Restoration, Evergreen, Geoff Cape, green cities, green infrastructure, inequality, Lower Don Project, Matthew Blackett, mid-rise housing, Ravines, redevelopment, Sustainability on October 18, 2015 by Mary Vogel. Camas Council: Consider Trends Before You Decide! Below is the Draft Testimony of Mary Vogel,CNU-A, principal of PlanGreen, regarding the Lacamas Northshore proposal that Carolyn Foster covered in her blog earlier in August. I know that you are concerned with the city’s economy—in the long term, not just today. I suspect that you believe that the proposed master plan will help the city’s economy. But I want you to consider some future trends before you make up your minds. Twenty-somethings on tight budgets prefer places to congregate with friends — in parks, bars, restaurant clusters and building common areas — and can tolerate smaller living spaces. Arthur C. Nelson, one of the nation’s most prescient housing market researchers, says declining homeownership, tighter lending standards, a sell-off of single-family houses by the nation’s fastest growing demographic — senior citizens—and even rising household sizes due to more multigenerational living will have an impact on the market you may be trying to attract with the single family home portion of the plan. The 2009 American Housing Survey (AHS) found that 28 percent of houses are attached, 29 percent are detached on small lots, and 43 percent are detached on large lots. Three studies — by National Association of Realtors, the Robert Charles Lesser & Co. (RCLCo), and Nelson — all found a nearly identical, imbalance in US housing supply and demand. Only 24 to 25 percent of Americans would prefer to live in large-lot single-family houses (see graph “Housing preference versus supply”). Consequently, there’s an oversupply of approximately 28 million units in what developer, professor and author Christopher Lineberger calls “the drivable suburbs.” Attached housing and small-lot housing, on the other hand, are undersupplied — by about 12 million and 13.5 million units, respectively. This imbalance is likely to grow in the years to come, reports Nelson. The generation that is currently moving into the housing market — Millennials — is the most urban-oriented cohort since World War II. Melina Druggall with RCLCo reported at a National Association of Home Builders conference in January 2011 that 81 percent of Gen Y renters want to live in an urban setting. (Wall Street Journal reported that number as 88% at that time and they were quoted in numerous sources such as Better Cities & Towns and Grist). Ninety percent of the increase in the demand for new housing will be households without children, and 47 percent will be senior citizens (the latter resulting from the rising tide of Baby Boomers who started turning 65 last year). Both of these demographic groups—the Millennials and the Boomers—lean toward multifamily and away from large-lot SFH. Referring to a recent National Association of Realtors (NAR) finding on percentage of households that prefer to live downtown or in mixed-use city or suburban neighborhoods, Nelson says “Back in ‘70s or ‘80s, people wanted drivable suburbs. Now 70 percent want to walk to discernable destinations, from transit to grocery stores. This wasn’t the case until recently.” Nelson believes the most popular locations will be mixed-use, walkable, transit-friendly neighborhoods. This Lacamas Northshore master plan is being portrayed as both walkable and mixed-use, but the concept plan I’ve seen so far indicates to me that it is not. The zoning proposal shows a segregation of uses. Business parks, by their very nature, are drive-to! The single-family and the multi-family seem quite segregated from each other and all are segregated from the shopping area. As far as economic development is concerned, there is increasing evidence that the kind of high tech, light industrial firms that you hope to attract are choosing to locate near where their employees want to live. Consider the choice of Amazon to locate adjacent to downtown Seattle and Adobe Systems to locate in downtown San Jose. I hope you will take into account the “extraordinary convergence of demographic, financial, technological and environmental trends” that ULI talks about before making your decision on this zoning change and the future development that it presages. I agree that a master plan with changed zoning is what is now most desirable for this area–but NOT the kind of segregation of uses we see in this plan. I urge you to delay approval of a zoning change–until you can get it right! This entry was posted in Comprehensive Plan, Economic Development, Housing Market, Industrial lands, Land Use Planning, LEED-ND, Master Plan, Millenials, Real Estate, Trends, Walkability, What's Next?, Zoning and tagged Arthur C. Nelson, Baby Boomers, Christopher Lineberger, demographics, Gen Y, Grest Senior Sell-Off, housing market trends, Master Plan, Maureen McAvey, Melina Druggall, Millennials, mixed-use, National Association of Realtors, RCLCo, Trends, ULI, walkable, Wall Street Journal, What's Next? on August 21, 2013 by Mary Vogel. A few months earlier, ULI’s Young Leaders Group had attested to this same wave in its own sessions. 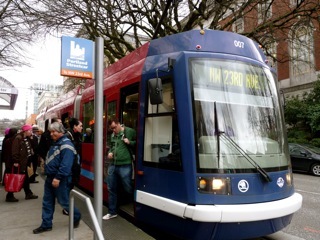 And it focused all its conference field trips close to the urban core along transit corridors of Portland, Oregon. At least one of that conference’s participants brought his suburban developer dad along as well—perhaps to learn new skills. 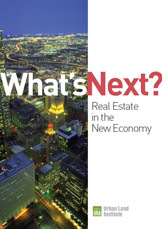 In April 2011, ULI Oregon sponsored two of its national leaders at talks held at Metro on such impressive topics as: Carbon, Development & Growth: Navigating New Frameworks for Real Estate, Planning, Transportation, and the Economy and Finding Certainty in Uncertain Times. Ed McMahon and Michael Horst both indicated that the pendulum is swinging re: how we invest housing dollars. The trend is towards walkable, mixed use neighborhoods with transit—and towards green building. Although McMahon and Horst have strong relationships with the US Green Building Council (their sons play important leadership roles there), McMahon pointed to an EPA study that transit-oriented development may outperform green building in reducing greenhouse gases. ULI’s Growing Cooler was a mega analysis of the impact of urban form on driving. “We cannot address greenhouse gases without addressing vehicle miles traveled,” McMahon stated emphatically. A September 21, 2011 story in the Oregonian reported that Renaissance Homes’ president, Randy Sebastian, a builder long known for its sprawling subdivisions on the fringes of the Portland market, thinks that the days of building on the fringes is coming to an end. He has taken to doing urban infill instead. 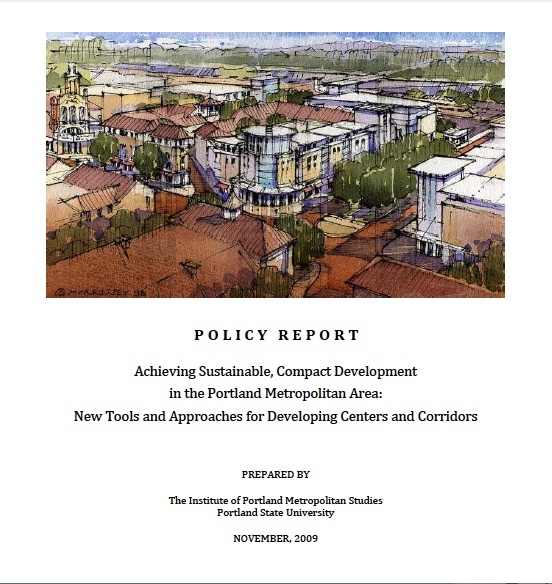 During 2010, Portland’s metropolitan planning organization, Metro, had also pulled together an impressive list of professionals from the development community to serve as its Expert Advisory Group on Centers and Corridors. Not only did that group tell Metro about the same trends that ULI events have showcased, it also made recommendations that Metro should take a larger long-term role in facilitating the implementation of compact urban development, by playing an enhanced role in education, technical assistance, gap financing, infrastructure financing, and legislative advocacy. These respected local experts in the fields of institutional real estate, financing, development and planning also volunteered their time to carry their message out to communities in the region and work with them to make changes. Despite these strong messages from the real estate industry, the Metro Council, on October 20, 2011, decided to add another 1,985 acres to the Portland region’s urban growth boundary in areas of Hillsboro, Beaverton and Tigard. About 330 of those acres will be brought in as industrial land. The other 1600 plus acres is to accommodate projections for needed housing. State law requires Metro to maintain a 20-year perpetual land supply. Stacey maintains that residents within the existing UGB will pay by seeing needed improvements in their neighborhoods deferred or cancelled while highways, schools and transit are expanded to the new areas. Develop a new approach to gap financing with creative lending tools and mechanisms for public-private collaboration. Create a mechanism for metropolitan infrastructure investments that supports compact mixed-use development. Even with Metro’s own role in convening the Expert Advisory Group, it is not apparent that anyone at Metro is paying attention to the advice of these experts. Instead, while not bowing to ALL of the pressures that suburban communities were putting upon them, some believe the Metro Council is following the old paradigm for growth–expansion, rather than embracing the sweeping structural changes savvy developers are predicting. Next it will be interesting to see where Metro’s Climate Smart Communities scenario planning takes it! Can the Portland region reduce greenhouse gases 75% below 1990 levels by 2050 while still following 20th Century development strategies? ULI is the preeminent think tank for the real estate industry. ULI Oregon is the “District Council” or chapter for Oregon. Wilsonville, Forest Grove and Cornelius had proposals for expansion that were not approved. This entry was posted in Centers & Corridors, Gen Y, Green Building, Housing Market, New Urbanism, Sustainable Urbanism, Transportation and Land Use, Urban Growth Boundary and tagged Climate Smart Communities, Gen Y, housing market trends, Oregon Metro, Urban Growth Boundary on November 4, 2011 by Mary Vogel.